When it comes to fitness and health, too many of us focus on only one thing – the scale. The main takeaway from this Kathleenism is “stop”. 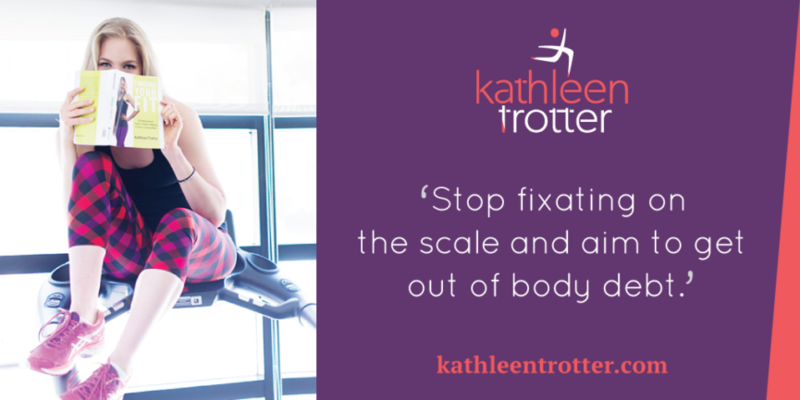 Stop fixating on reaching a certain weight and/or conflating thinness with health. Fixating on the weight on the scale — and using “health” interchangeably with “weight” — is ultimately not healthy or helpful. Why? If you only have one goal – a number – it is easy to give up on “everything and eat cake” when the scale does not budge. Plus, the number can be deceptive. It does not take into account other markers of health such as muscle mass, fat mass, energy, overall diet (amount of sugar consumed etc), emotional wellbeing, daily activity and sleep. Becoming healthier is not just about the number on the scale. Adopting a healthier lifestyle is about feeling strong, powerful, and energized. 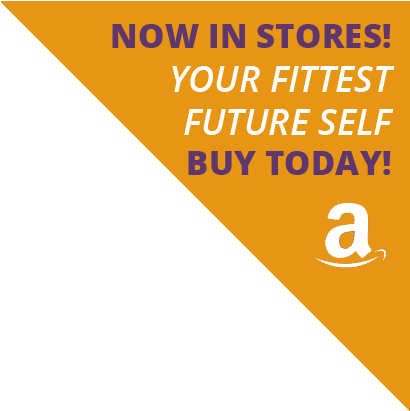 Make your health goal to get out of “body debt” by amassing “body credit.” Body credit is each individual’s level of energy, vitality, and physical resilience. You accumulate credit by making healthy choices. You deplete your credit by consciously or unconsciously making unhealthy choices such as sitting for hours, going on extreme diets, or eating unhealthfully. Body debt occurs when your unhealthy habits outnumber your healthy habits. You are in debt if you are always tired, always injured, and always cranky, and have a hard time maintaining or losing weight and sleeping. Losing weight on the scale may be one part of decreasing your debt, but your weight is only one small part of the debt-credit system of health. Focus on getting out of debt by making as many healthy choices as possible — sleep more, eat nutritionally dense foods, move more, and sit less. Aim to feel strong, powerful, and energized. Fixating on the Scale Does Not Amass Credit! Health (and the quest to amass credit) should not be understood as simply your weight on the scale. Health should be understood as an intersection of how you look and feel. 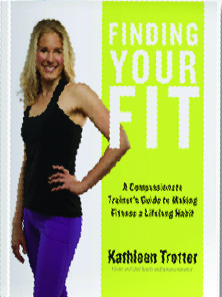 Your nutrition and exercise habits, your lifestyle, and your genetics all factor in your body credit. Don’t just try and reach a certain number on the scale. Instead, work toward getting out of body debt by establishing a plethora of HEALTH goals, including improved sleep, being stronger, and eating more fruits and vegetables. If weight loss would be beneficial for your overall health, the goal would fall under the get “out of body debt” – excess weight could add to body debt – but using the “body debt” concept your original goal (and so many others) would be addressed in a productive and healthy way.